There are many claims about which type of tea is the "healthiest." Some people say that green tea is, while others tout white tea as the healthiest because it has more antioxidants. Or is oolong the healthiest because it promotes weight loss? Pu-erh tea because it helps lower cholesterol? To get behind the science on tea and health, Douglas Balentine has offered some helpful insights. As director of nutrition and health at Unilever North America—the world's largest tea company and maker of tea brands like Lipton—he has years of experience in researching the many ​health benefits of tea. From an overall health standpoint, trying to find the "healthiest" tea is not the most constructive approach. Balentine says, "True tea, i.e. black, green, oolong, and white (but not "herbal") teas, are all produced from the leaves of Camellia sinensis." It is the way in which each tea is harvested or processed that differentiate the various products from the same plant. This means that you will find slight variances in the amounts of antioxidants in each. White tea, for instance, has the highest concentration of antioxidants because it is the least processed tea. By this standard, it might be considered the "healthiest" of them all. As far as antioxidants are concerned, white tea is followed by jasmine tea, green tea, then black tea. Each tea will also have varying amounts of caffeine, magnesium, and theanine—a factor in the feeling of tea drunkenness. Since every person's body is unique, each individual may react to any of these elements in different ways. For instance, some people can handle caffeine very well because of their genetics. Someone else may not do so well with high caffeine teas, so those would be considered slightly less healthy for these individuals. And yet, it's common to hear that one type of tea or another has been found to provide specific benefits in the latest research. Balentine, however, takes a look at the bigger picture and notes that "population-based studies and intervention studies have shown both green and black teas produce similar benefits for maintaining health and wellness." Talk of the health benefits of tea often focuses on flavonoids, which can be rather confusing. Essentially, flavonoids are dietary compounds—plant-based phytonutrients—found in tea, wine, cocoa, fruit, and vegetables. Tea flavonoids help maintain normal blood vessel function (endothelial function). All teas from the Camellia sinensis plant, such as black, green, oolong and white (but not herbal) teas, naturally contain between 100 to 300 mg of flavonoids per serving. According to Balentine, "all teas contain meaningful amounts of tea phytonutrients." Choosing one over the other should be more about personal taste than flavonoid levels. Regular tea drinking can contribute to proper hydration, improve focus and concentration, and help maintain a positive mood throughout the day. Tea naturally contains zero calories. When it is used in place of higher calorie beverages, it can help control caloric intake, which is important for managing weight. In Asian populations, green tea consumption has been shown to be able to reduce the amount of fat around the middle (known as "visceral fat"). This has not been confirmed in Western populations, but the findings suggest green tea drinking may help maintain a healthy body composition. Three or more cups of tea per day may help maintain cardiovascular health. 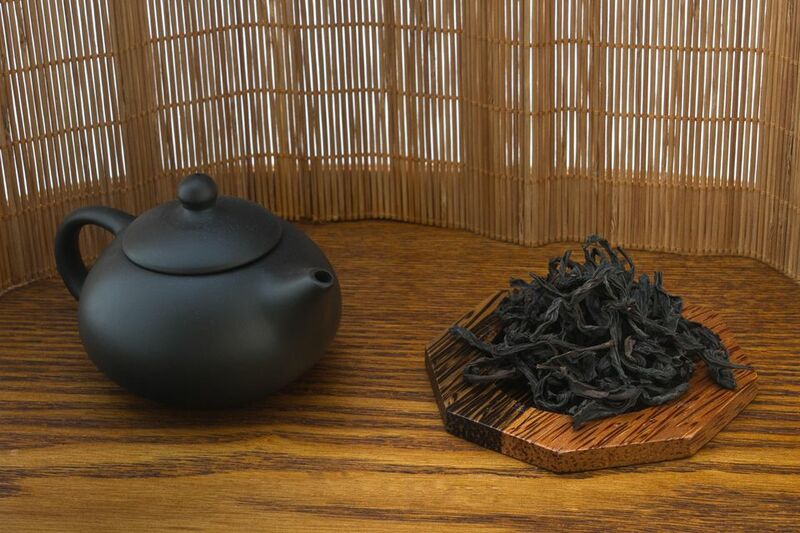 Population-based studies have shown that regular consumption of black tea is associated with a reduced risk of heart disease and a reduced risk of stroke. Clinical studies have shown that drinking two to three cups of black tea per day can help maintain healthy blood pressure and promote normal blood vessel function. In short, enjoy tea—no matter the type—as a healthy beverage in moderation. It will not whip you into perfect health on its own, though. Tea can become part of a healthier lifestyle and alternative to other drinks when paired with a balanced diet and exercise. Talking to your doctor about any recommendations regarding your personal health is a good idea as well.